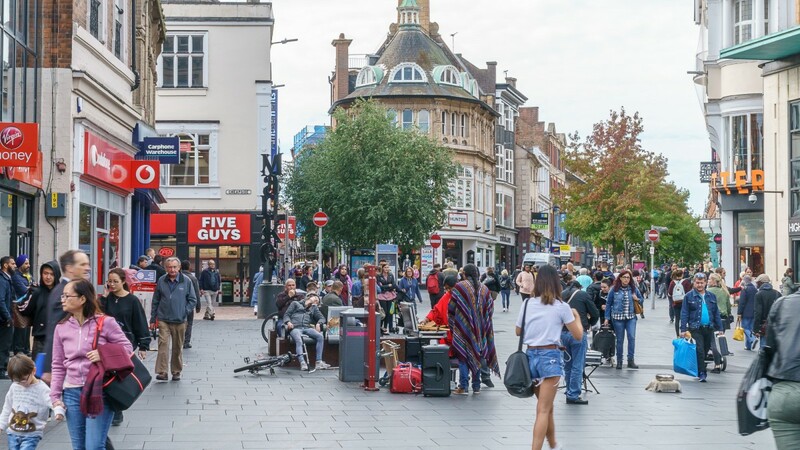 The City of Leicester is located approximately 161 km (100 miles) to the north of London, 64 km (40 miles) to the north-east of Birmingham and 40 km (25 miles) to the south-east of Nottingham. 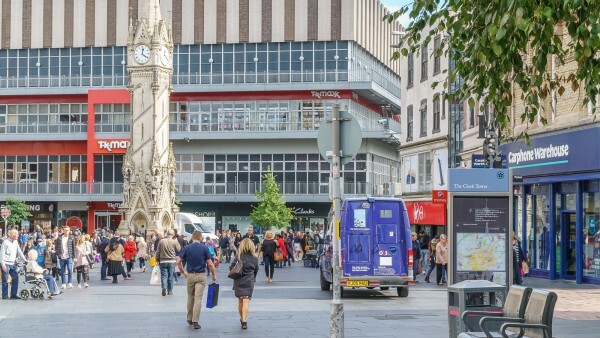 The city is served by excellent communications with Junction 21 of the M1Motorway, the intersection of the M1 and M69 Motorways, situated approximately 7 km (4 miles) south west of the city centre. The city has good rail communications providing a frequent train service to London St Pancras with a journey time of approximately 70 minutes as well as frequent daily services to Birmingham, Nottingham and Sheffield. 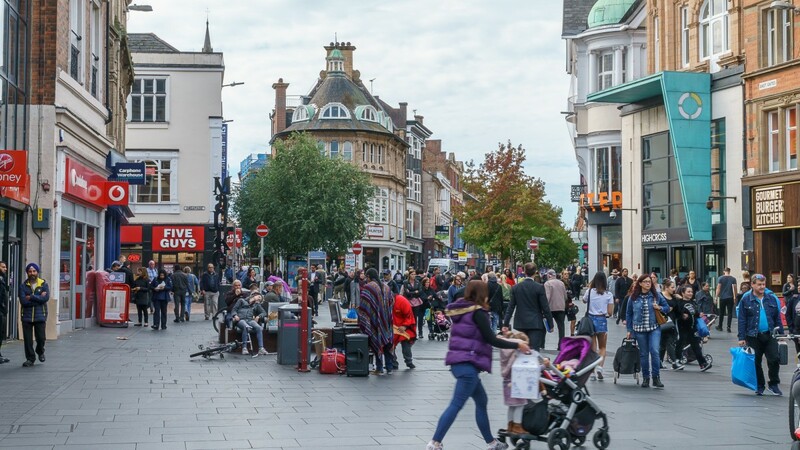 In addition, the city benefits from an extensive bus network and a park and ride service into the city centre. 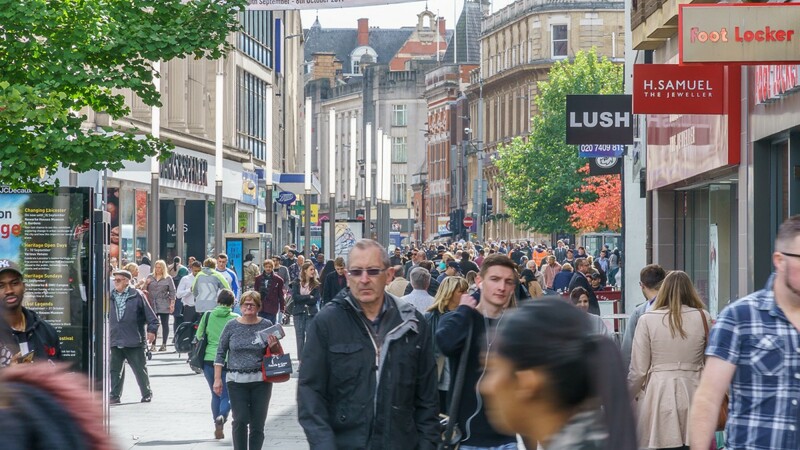 East Midlands Airport is approximately 32 km (20 miles) to the north west of the City and provides daily flights to a number of domestic and international destinations. 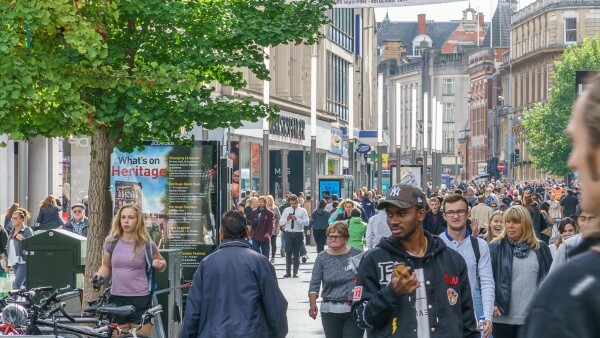 The subject property is situated in a 100% prime position on the south side of the pedestrianised East Gates and benefits from significant footfall generated by the city’s core retail destinations. 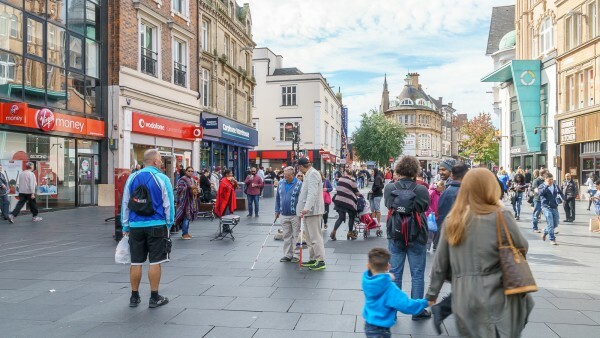 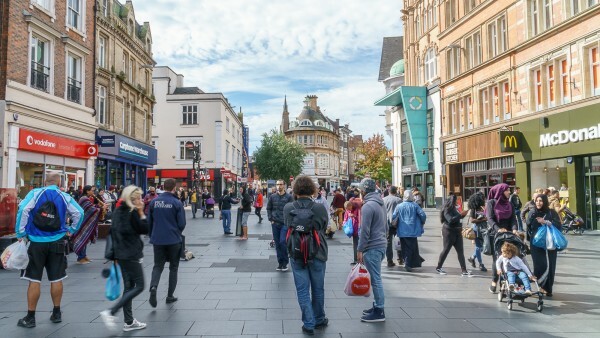 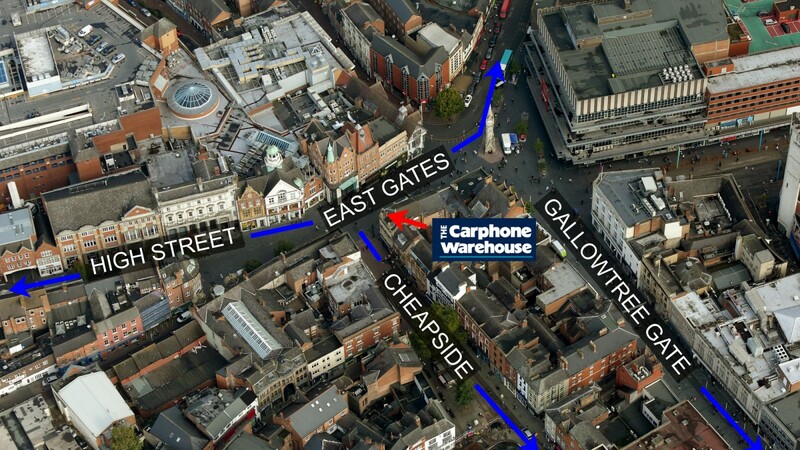 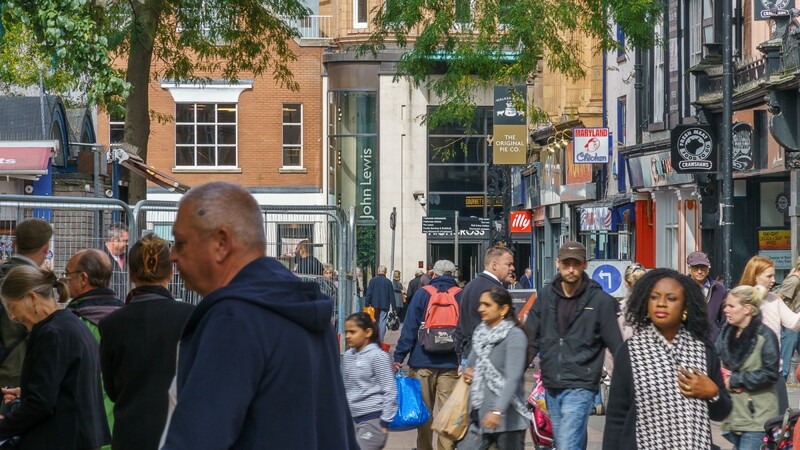 Leicester’s retail provision is focussed on the pedestrianised thoroughfares of East Gates, Humberstone Gate and Gallowtree Gate. 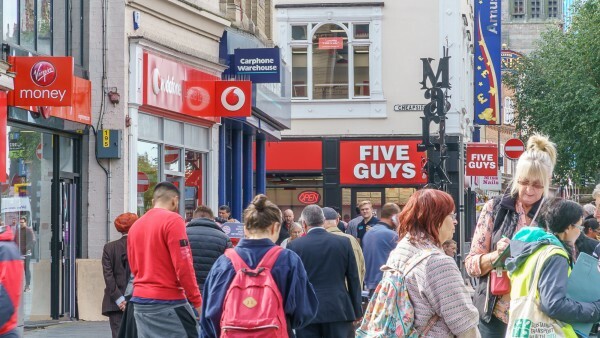 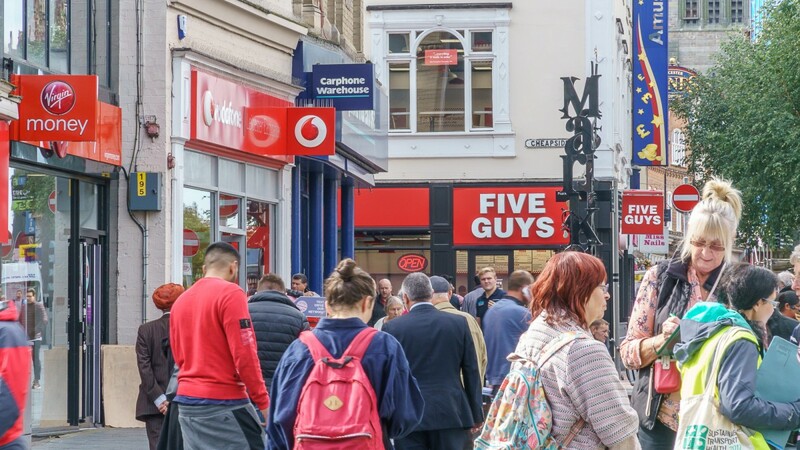 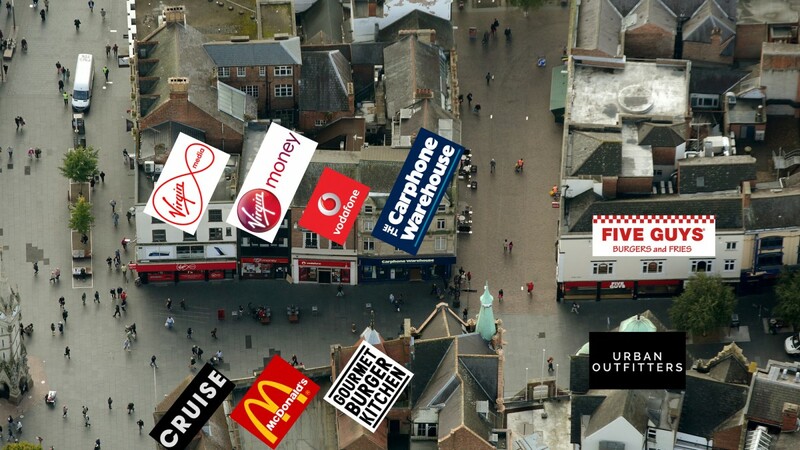 Multiple operators in the immediate vicinity include Marks & Spencer, HSBC, Barclays, Five Guys, Urban Outfitters, McDonald’s, HMV and Lloyds Bank. 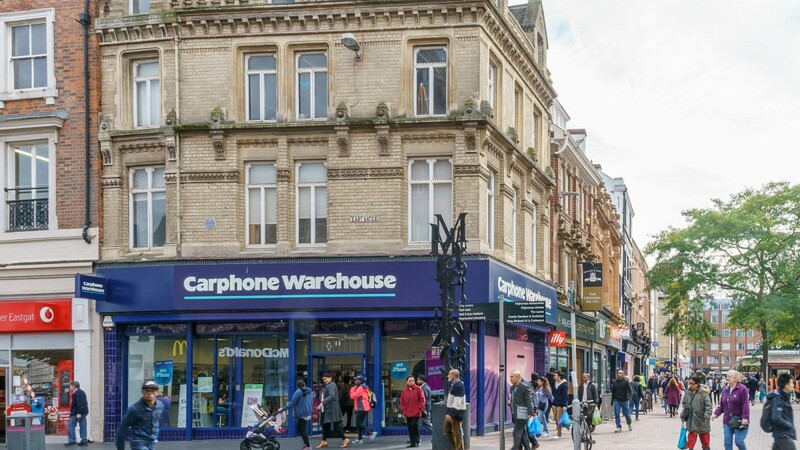 The property is directly opposite the Highcross Shopping Centre, the former Shires Shopping Centre, which comprises 1.15m sq ft with over 150 shops anchored by John Lewis and Debenhams. 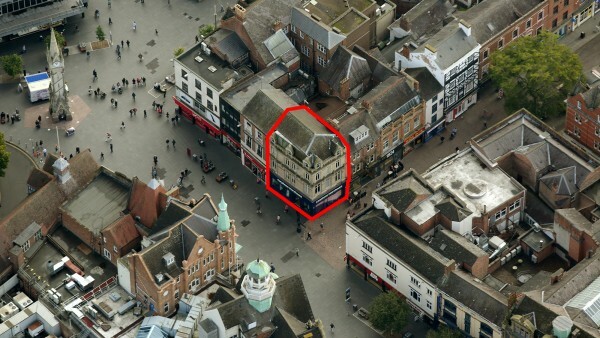 Other tenants in the scheme include All Saints, Zara, H&M, JD Sports, Reiss and Hugo Boss. 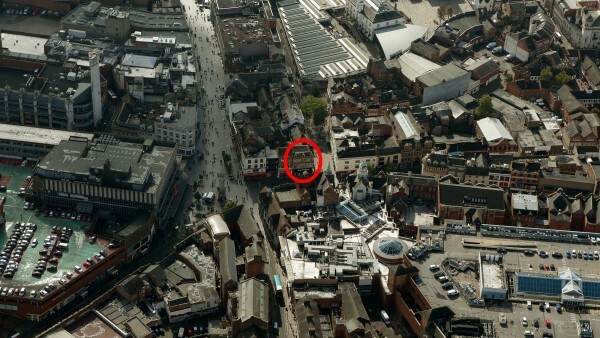 In addition, Highcross has a premium leisure provision which is anchored by a 12 screen Cinema De Lux. In addition, the Haymarket Centre situated along Humberstone Gate and Haymarket is anchored by H&M, Primark, TK Maxx and Sports Direct. 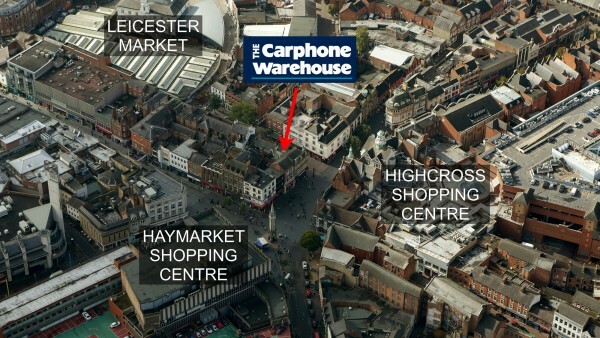 Another major city centre attraction is the historic Leicester Market which is situated on Market Place. 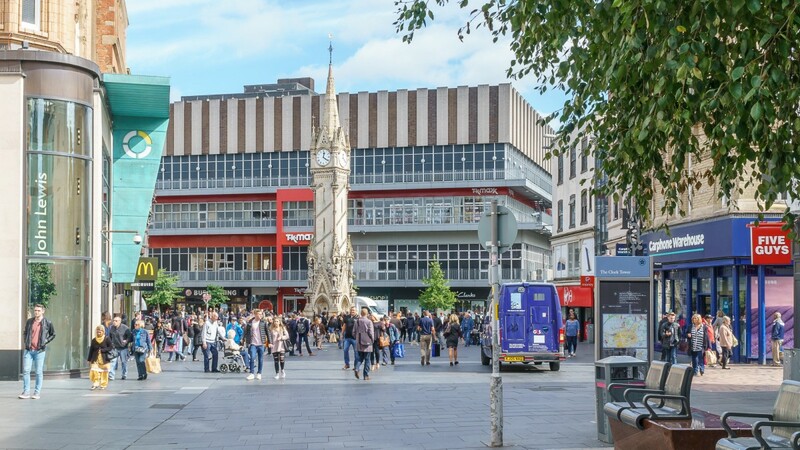 Dating back 700 years the property is undergoing a phased redevelopment plan and the first phase was completed in 2014 with the construction of a new Food Hall which was awarded Britain’s Best Food Market 2015. 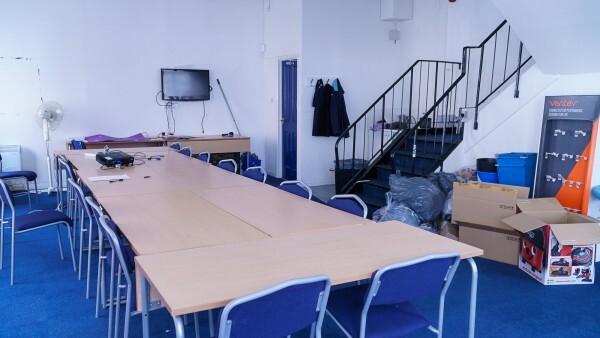 The second phase of the project is currently underway. 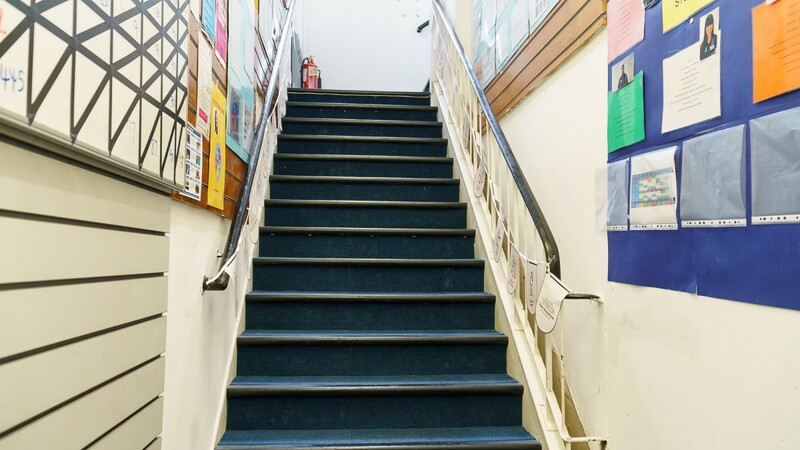 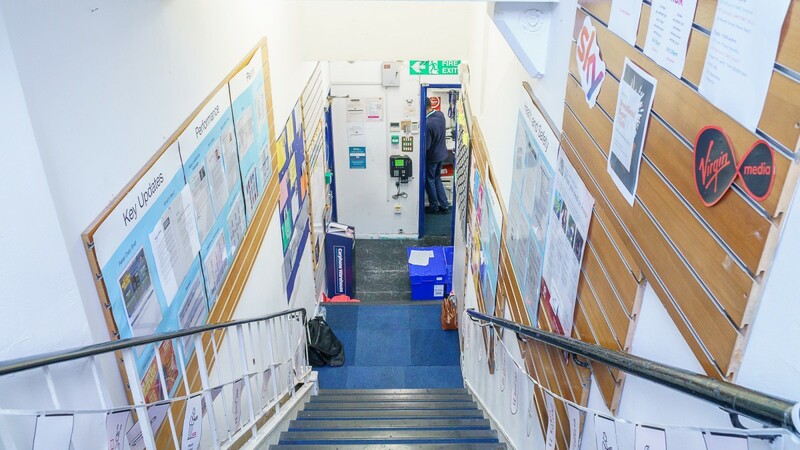 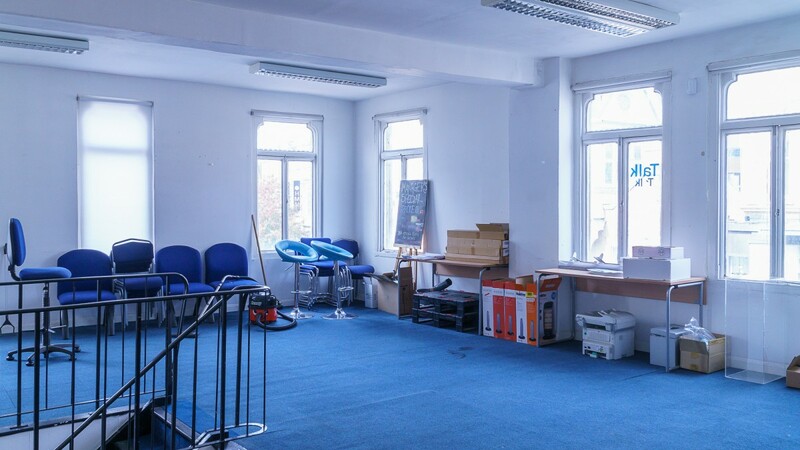 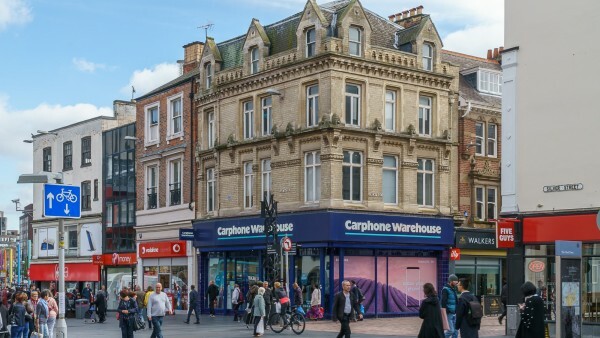 The property comprises a four storey building providing a corner ground floor retail unit with ancillary staff / storage accommodation over basement, first, second and third floors. 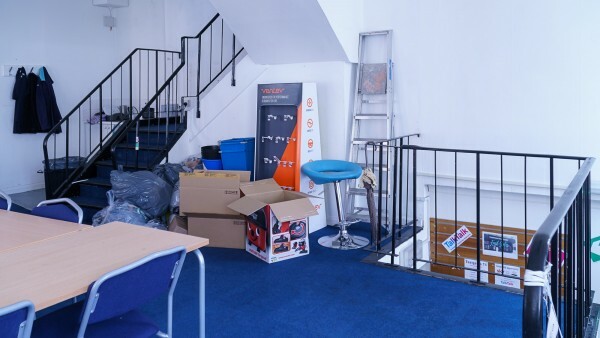 Internally, the sales area has been fitted out in the tenants’ corporate style. 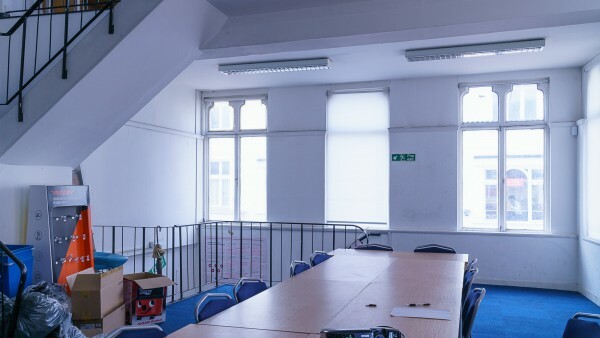 The tenant entered into a lease renewal in 2016 having occupied the property under a previous lease for a term of 25 years from 29th September 1990 demonstrating their desire to remain in the property. 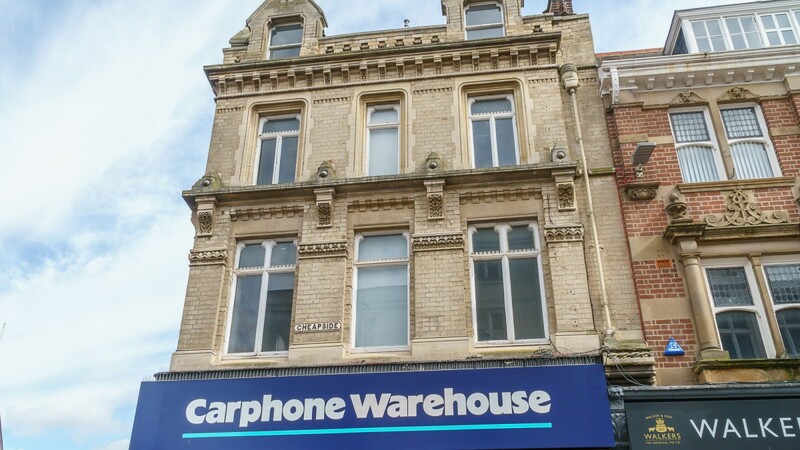 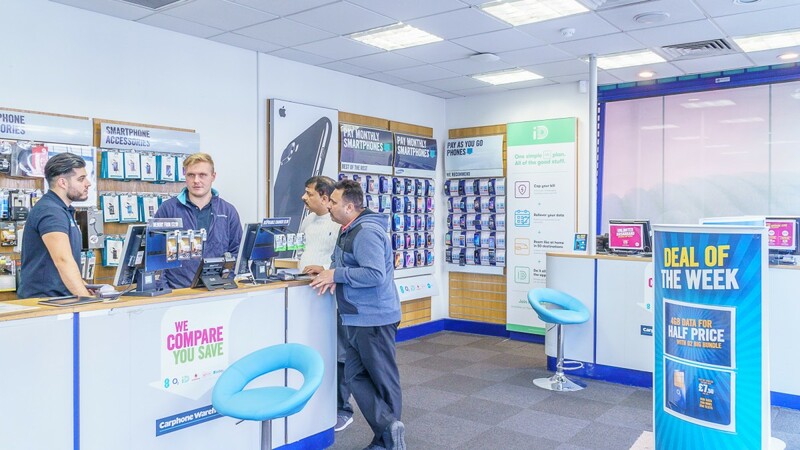 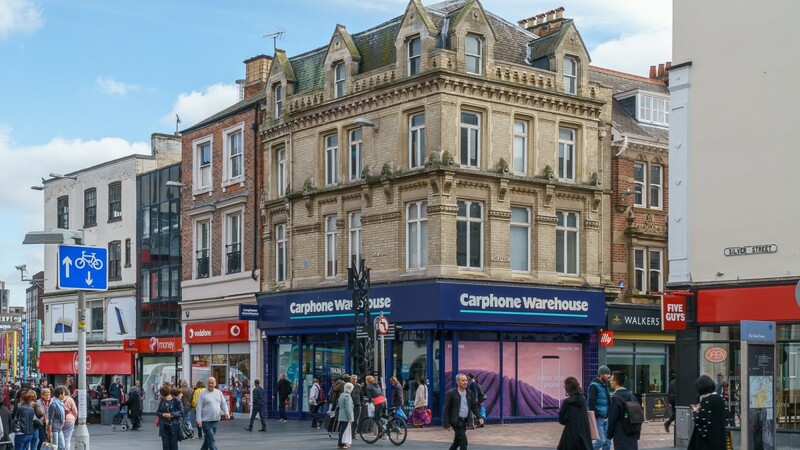 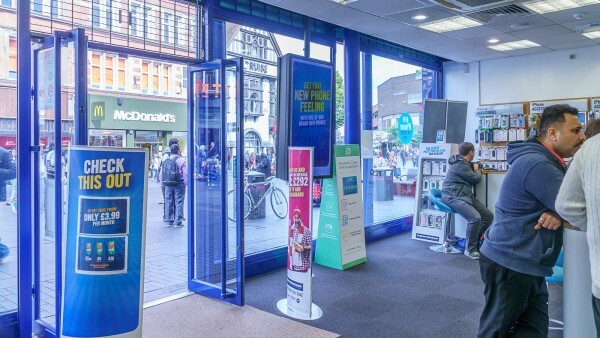 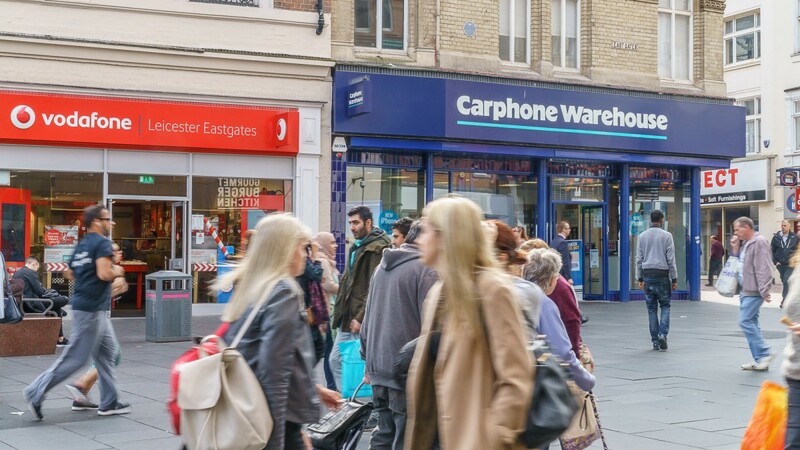 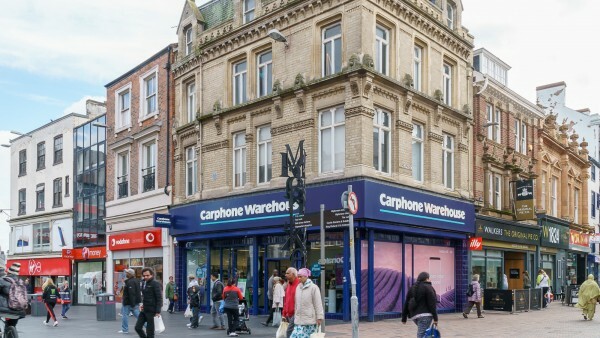 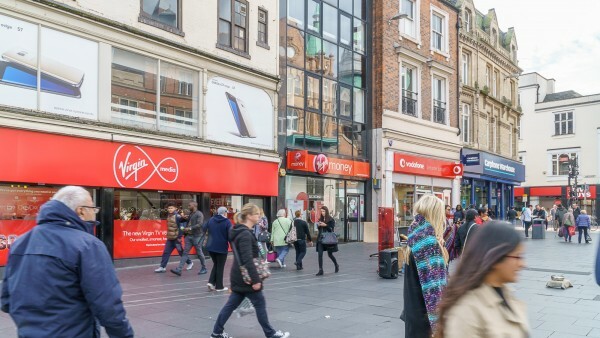 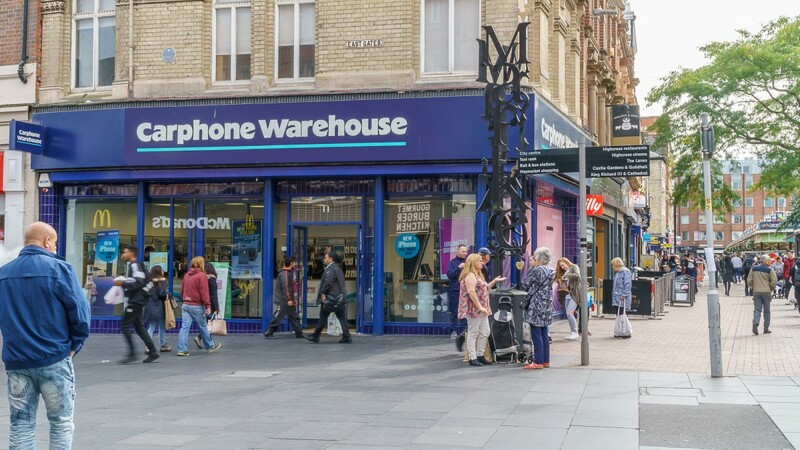 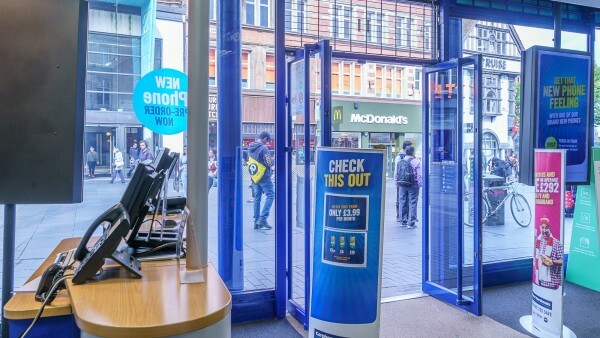 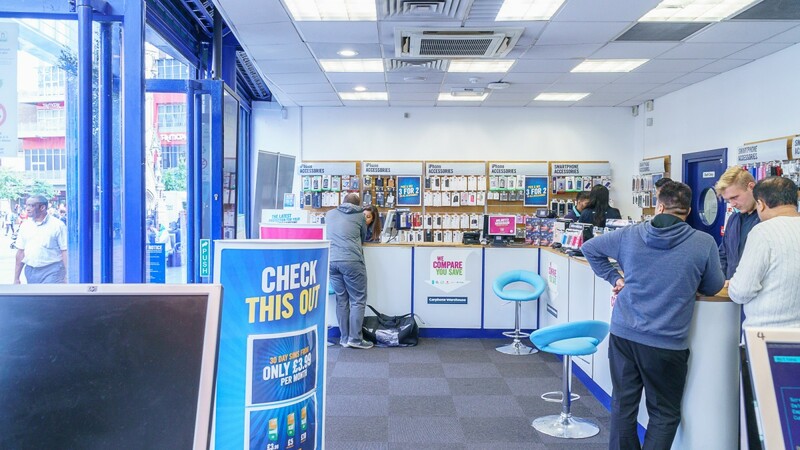 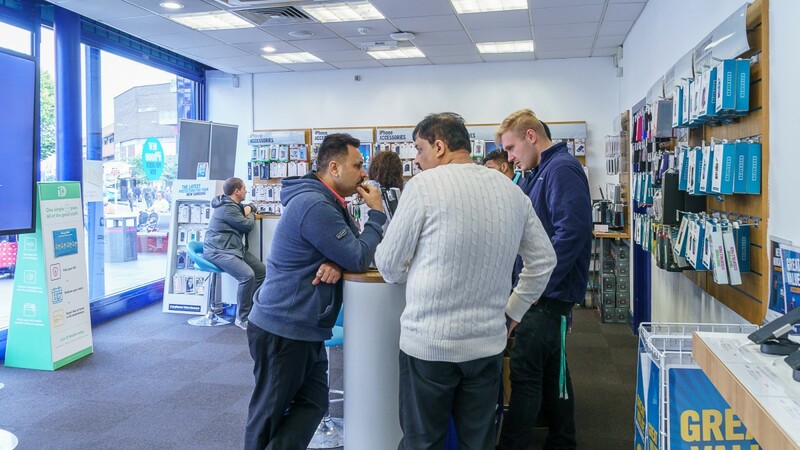 The entire property is let to The Carphone Warehouse Limited on a Full Repairing and Insuring lease for a term of 10 years from 12th May 2016 expiring on 11th May 2026 at a current passing rent of £80,000 per annum. Based on our analysis the passing rent equates to £127.18 Zone A making a 15% allowance for frontage/depth and a 5% addition for return frontage. The lease benefits from a rent review on 12th May 2021 and in addition the tenant may determine the lease on the same date by serving no less than 6 months’ formal prior notice. 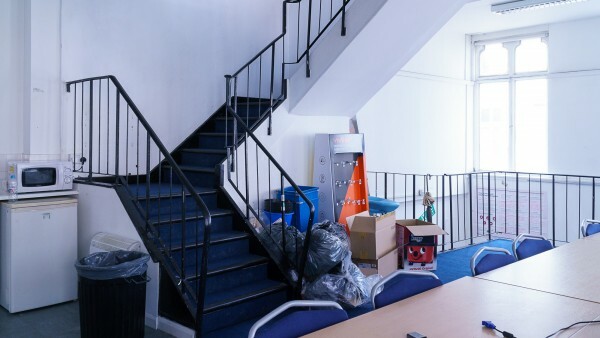 In the event the tenant breaks the lease it will incur a 3 month rent penalty i.e. £20,000. The annual rent under the previous lease was £106,500 per annum (£177.80 Zone A). 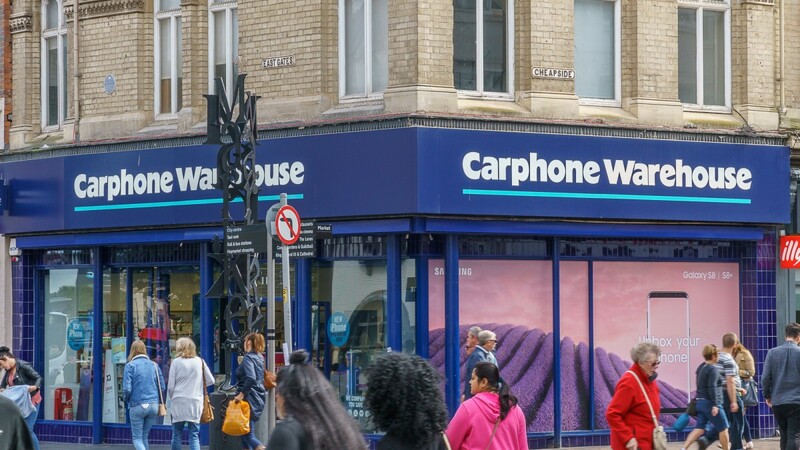 The company is a wholly owned subsidiary of Dixons Carphone plc, Europe’s leading specialist electrical and mobile phone retailer and services company. Listed on the London Stock Exchange the company is active in 9 countries with circa 41,000 employees and has a total of 2,139 stores. Further information is available at www.dixonscarphone.com. 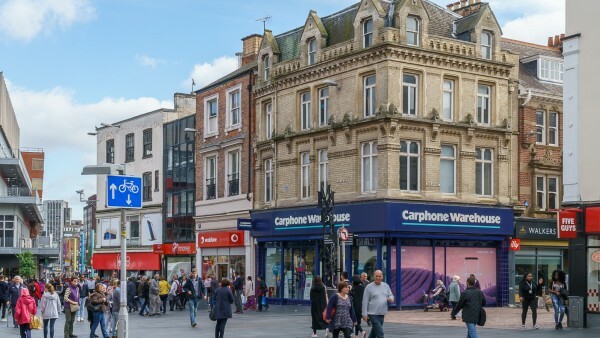 We are instructed to seek offers in the region of £1,160,000 (One Million One Hundred and Sixty Thousand Pounds), subject to contract, reflecting a net initial yield of 6.50%, assuming purchaser’s costs of 5.89%.